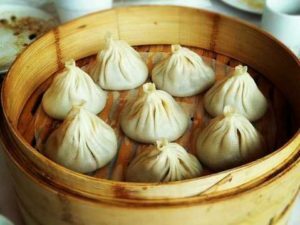 Dumplings variations are found in all cuisines. they can be eaten as an entrée or as an appetizers. In this class we will make two different kinds of dumplings; soup dumplings and shu-mei (shrimp and pork) dumplings. As side dishes we will have Chinese broccoli w/ Hoisin sauce and stir-fry noodles. As dessert we will have sticky rice.